This dynamic control suite is still the only of its kind to offer auto-calibration and wheelie control and includes: ATC (Aprilia Traction Control), AWC (Aprilia Wheelie Control), ALC (Aprilia Launch Control) and AQS (Aprilia Quick Shift). The exclusive traction control system developed by Aprilia to get maximum grip out of any type of surface and to give the rider greater confidence while at the same time improving safety. Two speed sensors allow the control unit to determine bike speed at any given time and use a sophisticated CAN-bus communication system to interact with the engine ECU. If the rear wheel is found to be rotating faster than the front wheel, the control unit determines the slippage of the rear wheel and interacts with the ignition advance and injection timing systems to limit the amount of torque produced by the engine thereby preventing loss of grip. The 8 different settings (3 on the version not combined with the APRC package) can be selected for different types of road surface and riding style. They allow the rider to extract the utmost performance from the bike whether on the track or provide enhanced safety on the road. Exploiting the full power of modern superbikes down to the very last unit of horsepower is every rider’s dream. Aprilia’s AWC (Aprilia Wheelie Control) has achieved extraordinary results. Thanks to the exclusive Aprilia patented Wheelie Detection System, the AWC is able to “tell” when a wheelie begins and ends and kicks in to soften wheel contact with the road. Smooth, soft wheelie management avoids harsh power cuts or pick-up, providing perfect acceleration control. 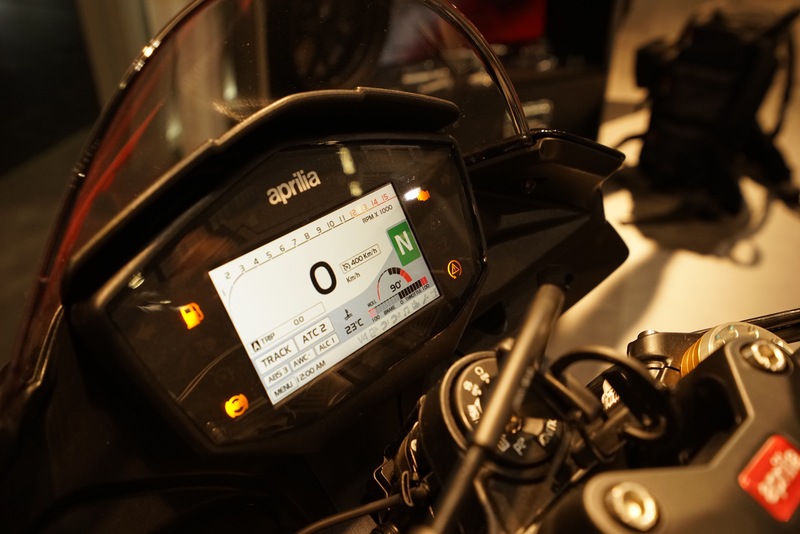 The AWC system is activated from the instrument panel and can be adjusted independently from other control systems choosing from three settings to better meet rider requirements. Launch system for track use only with three settings. The perfect start is yet another racer’s dream, because a good start frequently means you’re half way towards a victory. When the lights go out however, handling the huge power of modern superbikes is no easy task. Unless the bike can look after itself to provide the best possible start. The ALC (Aprilia Launch Control) system ensures an instant start as the lights go out, applying full power to the road to assist the rider in this critical moment of the race. All the rider needs to do is open the throttle wide and release the clutch as he normally would then shift up through the gears. The ALC system has three settings that can be selected from the instrument panel menu, then it must be “armed” at standstill, by squeezing both traction control buttons on the left handlebar joystick at the same time. For ultra-fast electronic gear shifting without closing the throttle or using the clutch. When you’re after the fastest possible lap performance, you can’t afford to waste even one thousandth of a second in an apparently simple operation like shifting gears. 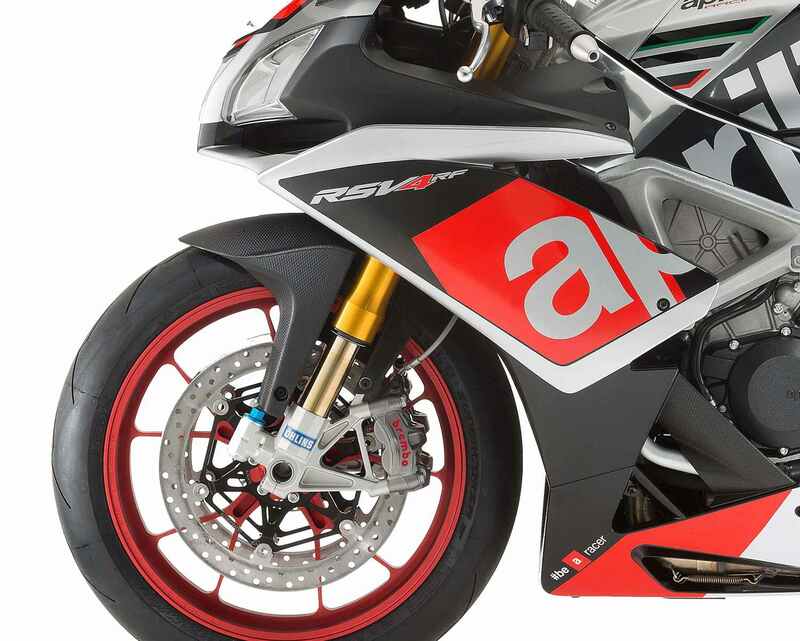 The RSV4 APRC features an electronic gear shifting system known as Aprilia Quick Shift which delays spark advance for an instant and then gradually restores it, making for super-fast shifting with no need to close the throttle or use the clutch. The system works hand in hand with the new closer ratio gearbox to limit any drop in rpm during shifting for faster lap times. 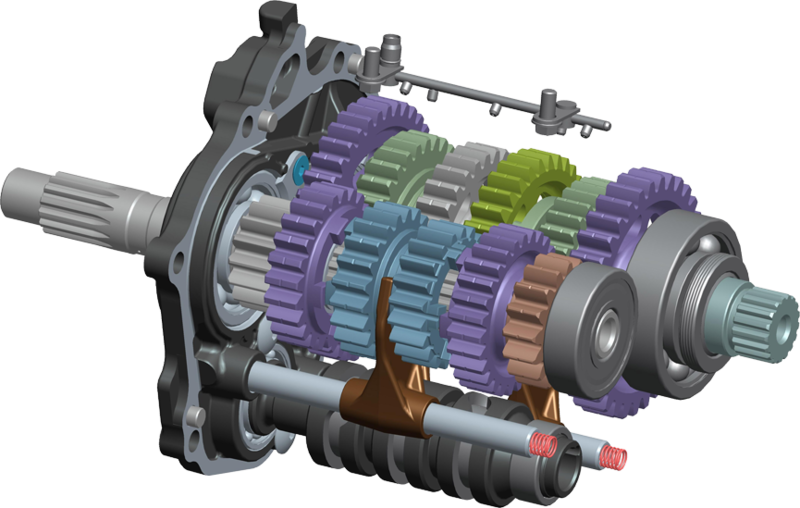 To optimise AQS performance, Aprilia engineers have fine-tuned the “cut” in power based on the revs at which a gear change occurs. A highly sophisticated electronic throttle that at one time was the preserve of competition bikes. Now serves to help the rider get the utmost performance from the bike. The RbW system communicates with the engine ECU to get the best from the entire power band to provide instant smooth acceleration from low and medium revs right up to top speed. 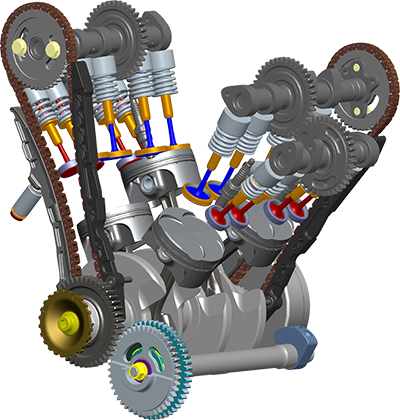 An efficient engine also offers the great advantage of lower fuel consumption.